Luzon is the largest island of the Philippines and one of the three island groups in the country, the other two being Visayas and Mindanao. 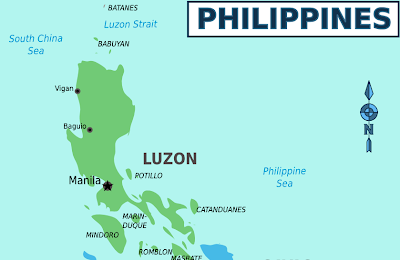 Luzon has 104,688 square kilometers and nearly forty million people, making it the fifteenth island in the world by land area and the fifth by population. It houses the country's capital, Manila, and the most populous city, Quezon City. The island is mountainous and is bordered to the west by the South China Sea, to the east by the Philippine Sea and to the north by the Strait of Luzon. The Visayas is one of the three main areas of the archipelago of the Philippines with Luzon and Mindanao, corresponding to the group of islands in the center of the archipelago. They are characterized by a set of tropical beaches in the middle of the warm seas. 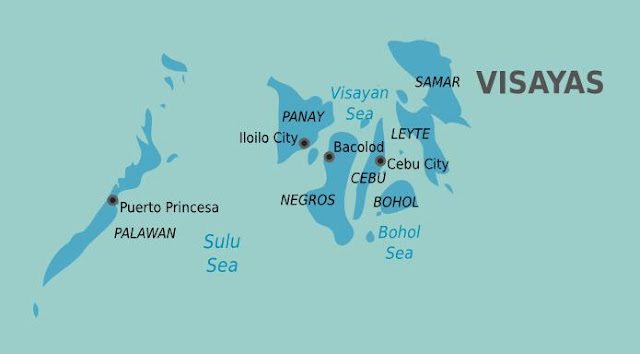 To the north of the Visayas region is characterized by the presence of the great northern island of Luzon (the capital city is Manila). To the south is the southern region with the center of the large island of Mindanao.